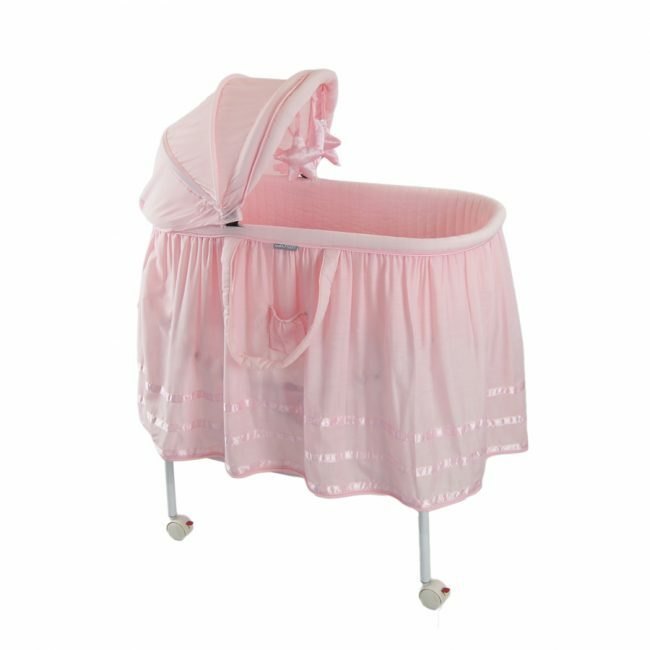 **PROMO** From RM 799 to RM 599 for Pink Satin only! 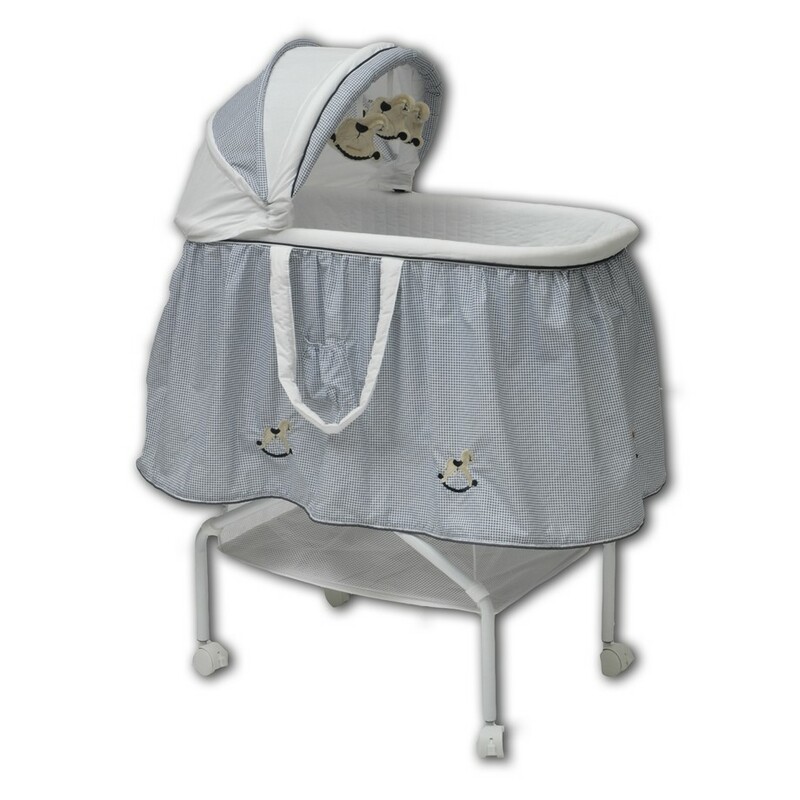 Unlike other bassinets, the Breathe Eze Classic Bassinet bassinets include a Breathe Eze mattress, embroidered soft toys, fitted sheet, quilt, large under basket for storage, 4 lockable wheels, an adjustable hood, accented skirt, mosquito net, and convenient carry handles. 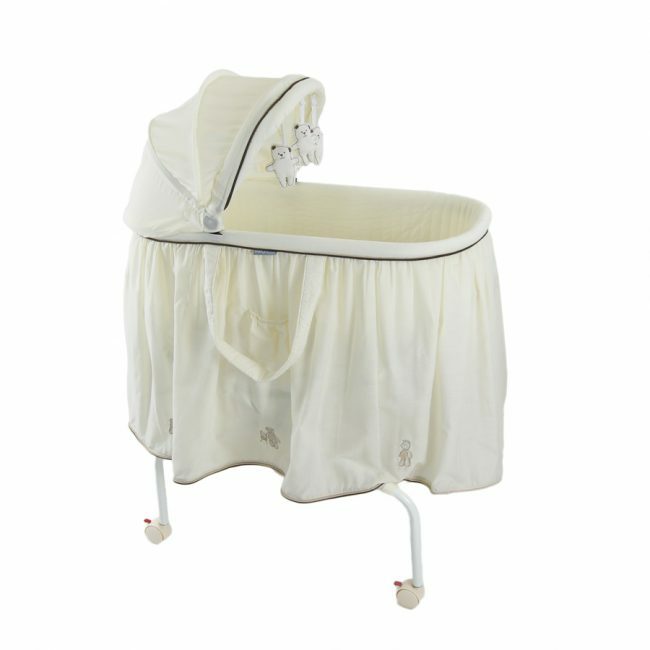 The collection includes 5 different beautiful designs to suit any nursery space including Safari 4 Animal, Rocking Horse Navy, Pink Satin, White Satin and 3 Bears Cream – so there will always be a design perfect for your baby’s space. Quilted side wall for extra comfort. Carry handles for transportation (not including baby ofcourse). Elegant mid length skirt to hide under basket. Large under basket for storage. Locking castors for maneuverability from room to room and up to your bedside. Fitted and full insect net.